To be honest, I didn't have high hopes for this album. 'Traktor' is an accessible, bass heavy track that sent Wretch into the mainstream, peaking at number 5 on the singles chart. The next two singles did even better, 'Unorthodox' reaching number 2 while 'Don't Go' earned the Tottenham born rapper his first number 1. Despite the popularity of the tracks, I was underwhelmed by both. 'Unorthodox' should be applauded for the bold Stone Roses sample, but the experiment doesn't quite come off. 'Don't Go' is a dreary affair, the inexplicable popularity can only be attributed to Josh Kurma's emotional hook. Only liking one out of the three singles did not bode well, but listening to the whole album turned out to be a pleasant surprise. On a less introspective note, fans of 'Traktor' will enjoy 'Sane's the New Mad'. The two tracks use similar thumping instrumentals to provide welcome breaks from the serious nature of the album. 'Long Way Home' is an interesting take on walking home sober on a night out as Wretch wryly observes the ridiculous drunken behaviour of his peers while 'Anniversary (Fall in Love)' is a sincere, heartfelt love letter to his girlfriend. The high standard dips on certain songs. 'Please Don't Let Me Go' is soppy and unnecessary, and 'Hush Little Baby' sounds a little too pop oriented to fit well with the rest of the collection. The aforementioned 'Don't Go' plods along, making for a sombre, downbeat album closer. I was very surprised at the general standard and quality of the album. 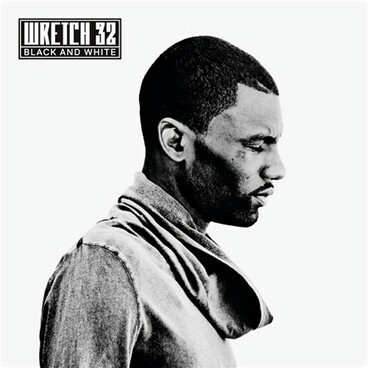 The abundance of smart, introspective tracks shows that Wretch has bags of talent and potential that were not necessarily shown on his popular singles. A welcome addition to British rap royalty.